Bpm’online is a global business software company leading in the space of business process automation and CRM. The company has been highly recognized as a market leader by key industry analysts. Its intelligent platform accelerates sales, marketing, service and operations for thousands of customers and hundreds of partners worldwide. 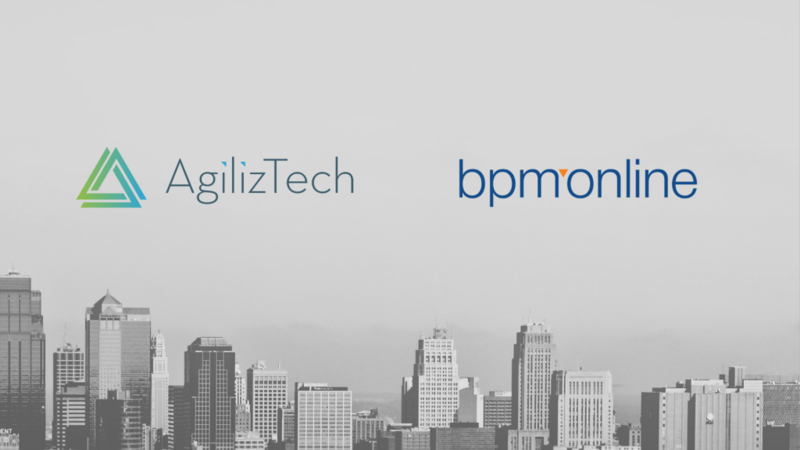 AgilizTech partners with bpm’online to deploy and implement advanced CRM solutions that helps organizations strengthen customer acquisition, retention, loyalty and advocacy strategies. We work with clients to customize bpm’online as per their unique organizational needs. In this series of blog posts, we will explore certain scenarios in which customization can be made to improve efficiency and increase productivity. We will be adding blog posts for each of the use cases mentioned below in the coming weeks. Do stay tuned to learn how bpm’online can be tailored to suit your unique organizational needs. We’re a leading award-winning, agile technology partner that renders bespoke IT services by embedding user-centricity within each step of the value chain. We adopt agile work processes to design, develop and deliver innovative digital solutions for our clientele. Subscribe to our newsletter to stay updated with our in-depth insights on technology and design.